The trademark industry is OUT OF CONTROL. As Print on Demand sellers, we hear about this every single day. Someone has trademarked a new phrase, and is using their phrase to take down everyone’s products on Merch, Redbubble, Etsy, you name it! A while back, our good friend Ken Reil found a FREE way to combat these trademark trolls as they tried to register more common phrases and words for their own benefit. 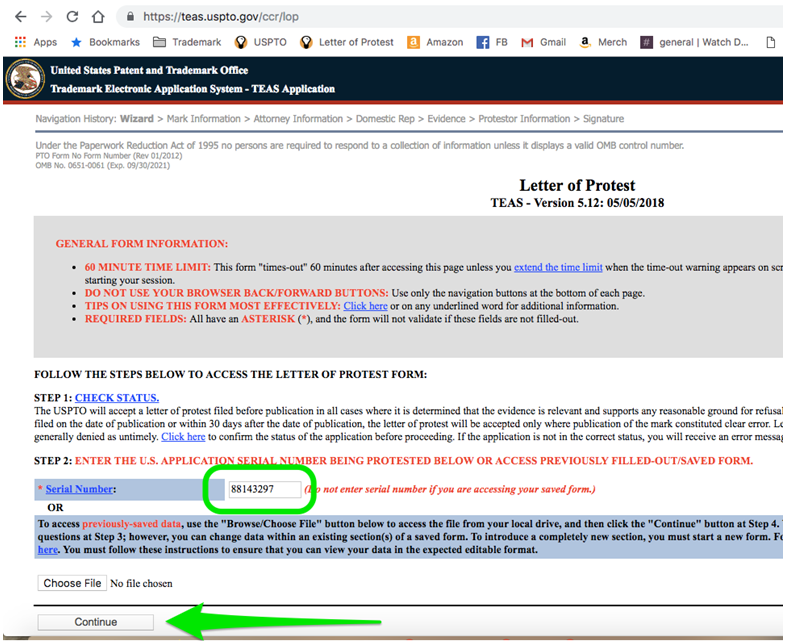 Letters of Protest can be filed for free, quickly and easily, which will alert the USPTO attorneys that their may be some evidence out there that the trademark should NOT be granted. It soon became clear that these are working! 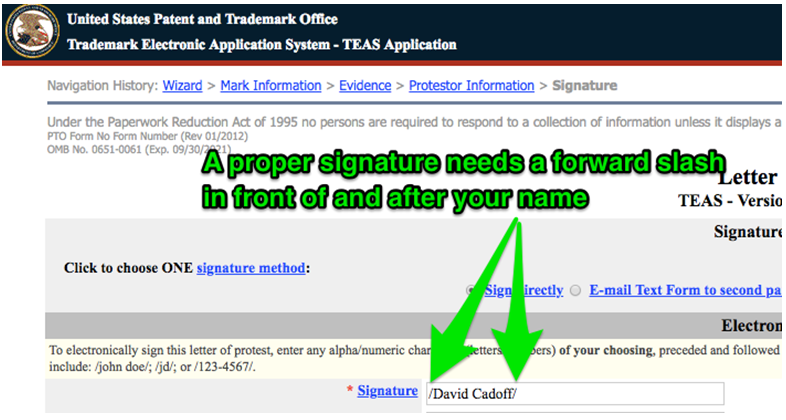 Since this issue is so incredibly important, I reached out to Dave Cadoff who helps run the Trademark Watch Dawgs group with Ken to write up an in depth guide on exactly how you can stand up against these frivolous trademark applications. How many times have you said that to yourself – or whomever is in earshot – when researching t-shirts for design ideas? I bet this has happened to you a few times. This happened to me just today! I’m researching along my merry way and found a phrase in the science niche (stay outta my niches!) that I liked. I’ll even tell you the phrase…Stay Curious. I’ve watched enough Merch Informer YouTube videos to know that 64 shirts is a niche to be conquered…and look at the BSRs on the top row of shirts! This is gonna be fun. Let’s not panic yet. 3 out of the 4 are just “Live”. All that means is the application is in process. They’re not registered yet. Applications stay “Live” until they are either registered, refused or abandoned. Also, I’m doing a t-shirt design. That falls under International Class [IC] 025. I’m only worried about that class. FYI, if you’re doing popsockets (IC 009) or some other kind of POD product, you do need to worry about those International Classes, too. In this example, I’m only worried about IC 025. 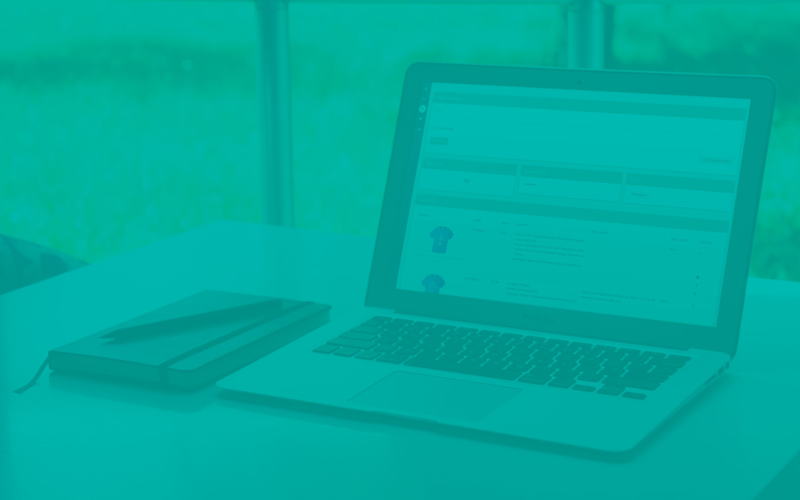 It’s in the International Class – IC 025 – for clothing and apparel. And, the Goods & Services (G & S) listed is for T-shirts. NOTE: FYI, you can’t own an entire International Class. The trademark application must call out the specific type of Goods & Services that will be covered by the trademark. In this case, it’s the calling out the goods that I wanted to use too. Last year, this would’ve been the end of the story. I would’ve assumed they’d get the trademark and I’d eventually get a takedown notice if I did dare to list the design. I’m not going to let them corner the market on this phrase. I mean the phrase already exists on a bunch of t-shirts. Why should they be able to come in late and kill off the market. Nope. Not today. I’m going to file a Letter of Protest with the USPTO. Hint: If you are playing the home game, write down the serial number. You’ll need it later. What’s a Letter of Protest? 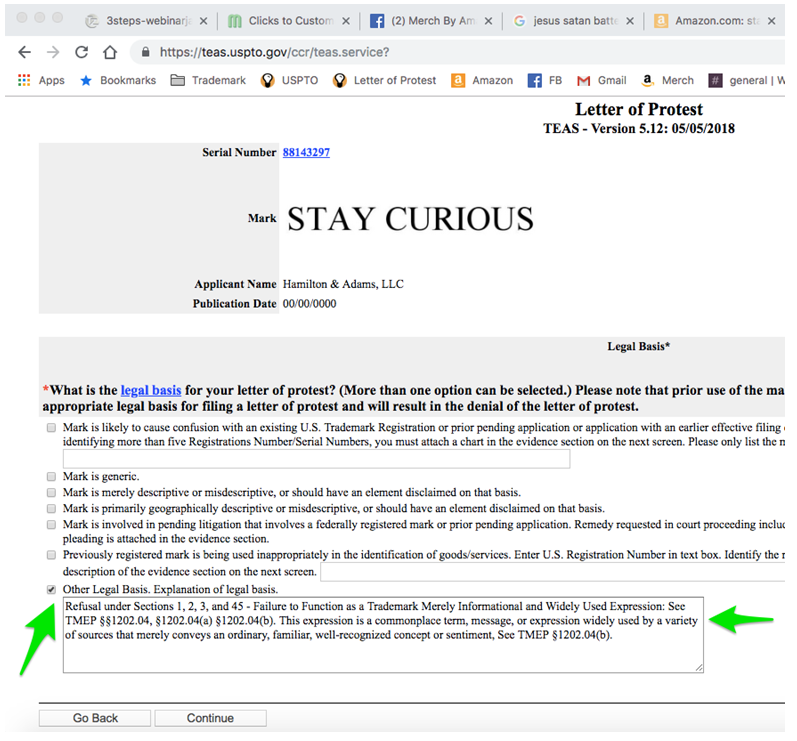 A Letter of Protest – LOP for short – is a FREE way for a 3rd party – that means you or me – to let the USPTO know that there is evidence out there that might impact the registration of the potential trademark. What’s a 3rd party? Well, you and me. 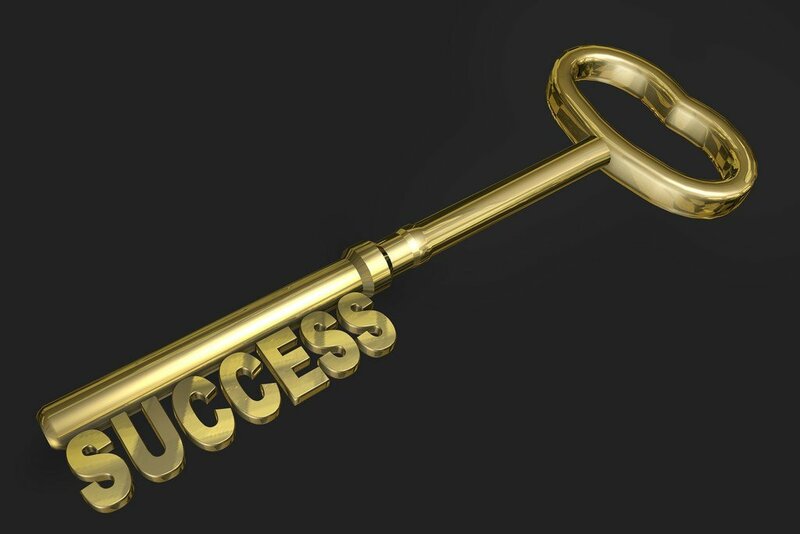 There are already 2 parties – the applicant and the USPTO. We’re not named in the application, but we can bring relevant evidence to the USPTO that could show that the trademark should not be issued. 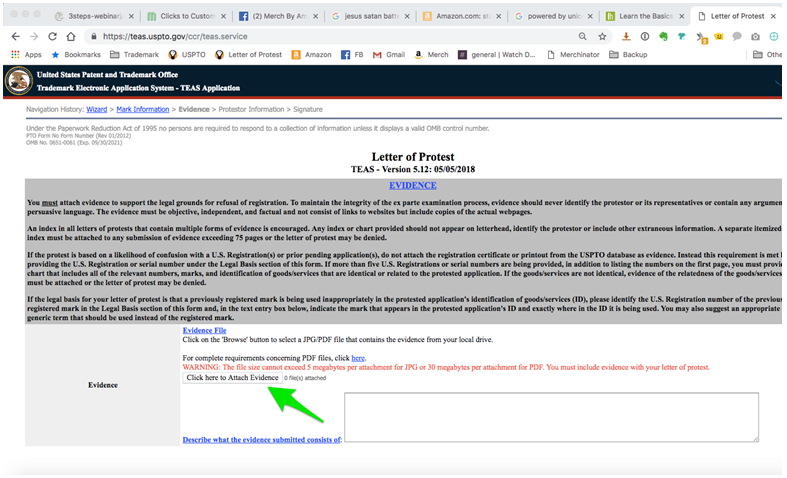 When can you file a Letter of Protest? In general, it takes about 3 months for a new application to be assigned to an Examining Attorney (EA). The Examining Attorney can choose to refuse or proceed with the application. If the EA proceeds, they’ll push the application to the next step – which is called the Opposition Period. 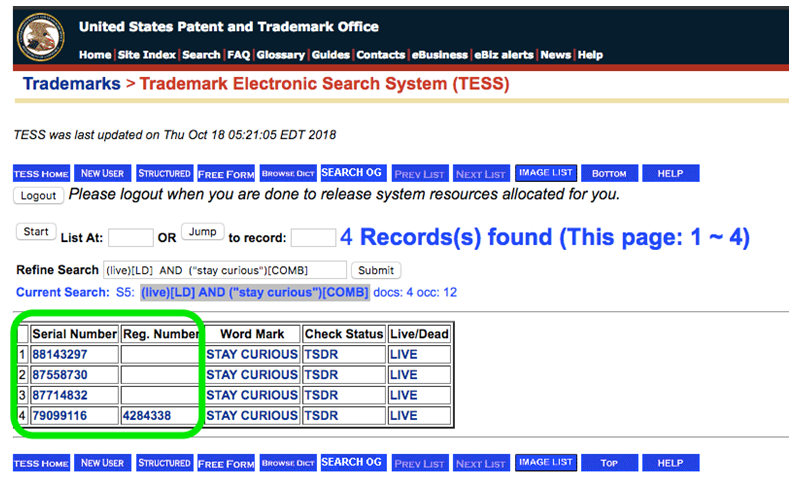 The opposition period begins when the USPTO publishes the trademark in something called the Gazette (how they alert the public to a pending application) and ends 30 days later. You can file an LOP anytime during this timeframe. If you want to file one, don’t wait. Try to file before the Examining Attorney gets assigned to review the trademark. The standard of evidence needed only gets harder later when you wait. What kind of evidence? 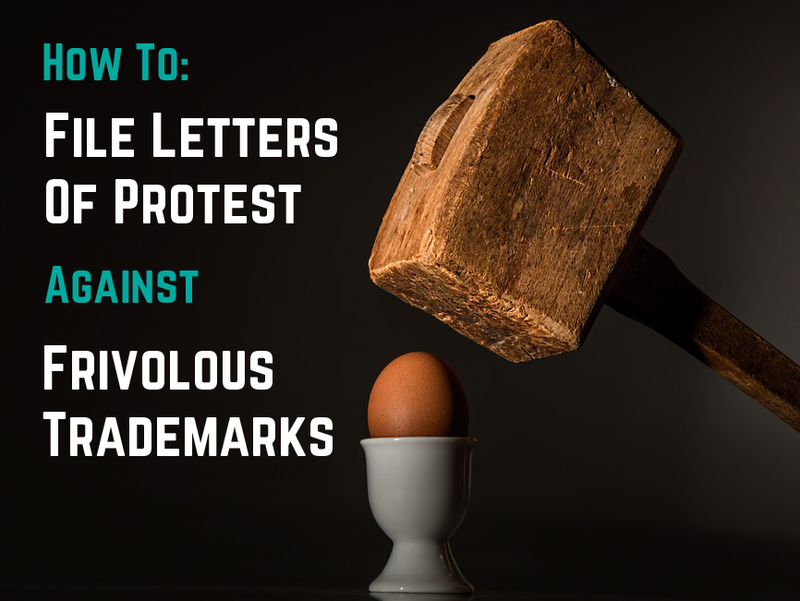 There a bunch of legal basis that can be used to protest a trademark. 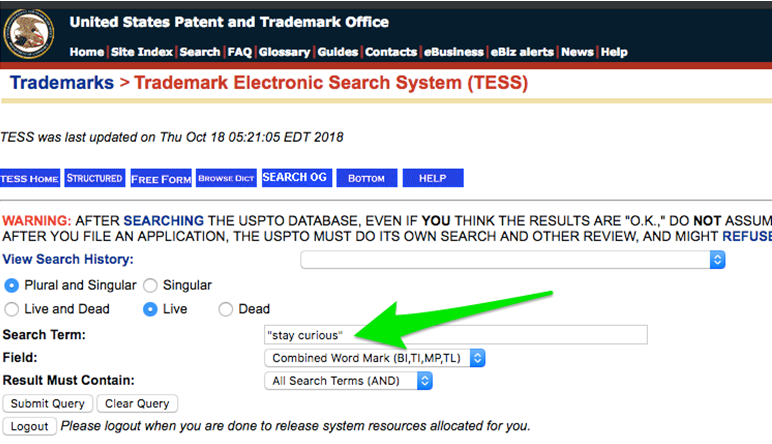 I like to let the USPTO know that there a bunch of shirts with that phrase already – the USPTO calls that widespread use. I saw there were at least 64 different designs with that phrase – and I really didn’t search too hard. I bet there are more. Let’s go get ‘em. How to file a LOP (Letter of Protest)? Great. A bunch of shirts. Let’s capture these in a PDF. 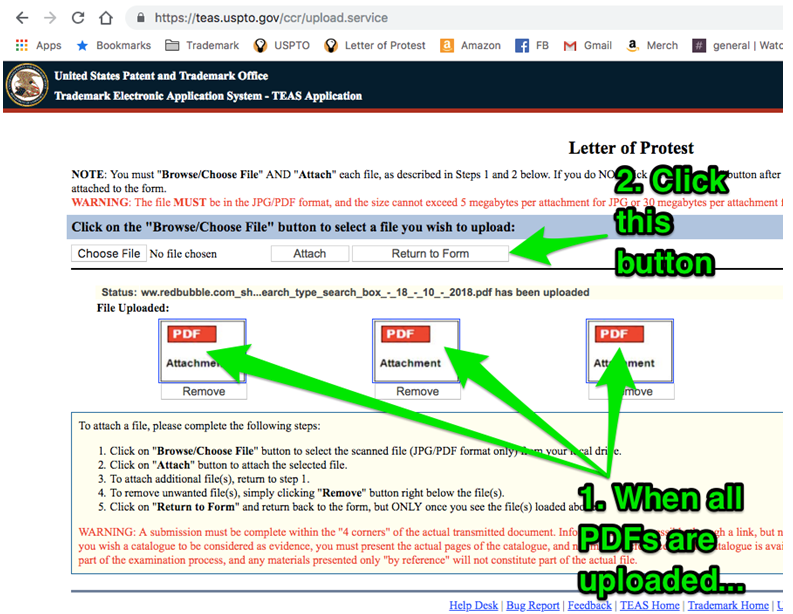 I’ll be able to upload the PDF to the USPTO when I fill out the Letter of Protest online. 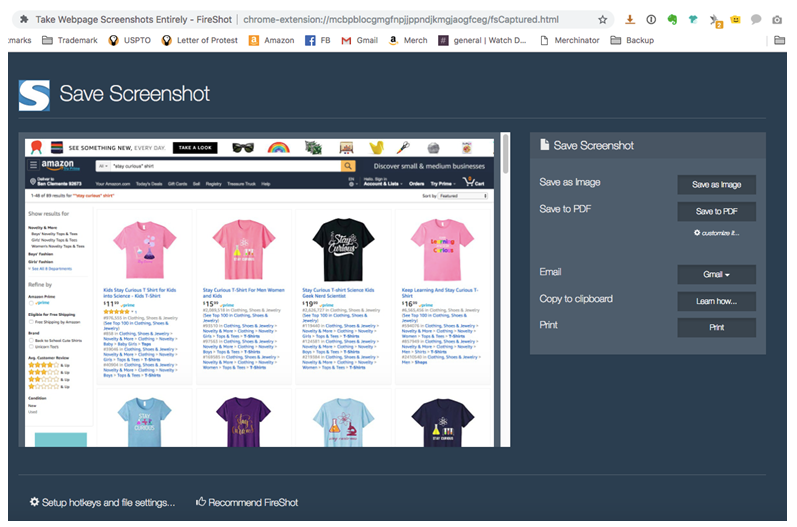 I use a Chrome plugin called Fireshot (https://chrome.google.com/webstore/detail/take-webpage-screenshots/mcbpblocgmgfnpjjppndjkmgjaogfceg?hl=en) It can capture the whole page and create a PDF that will span across multiple printed pages. Warning: you can use any plugin you want but make sure the pages are readable and legible if printed out (yes, they print them out). The USPTO can and will reject LOPs if the evidence is too small to read. It’s happened to me…at least 10 times. 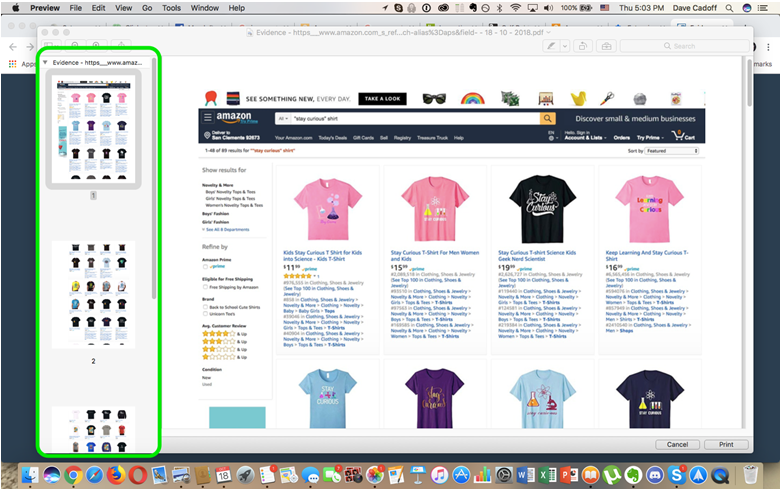 See how Fireshot creates a PDF that spans pages? So, that’s good. We’ve got one site done. 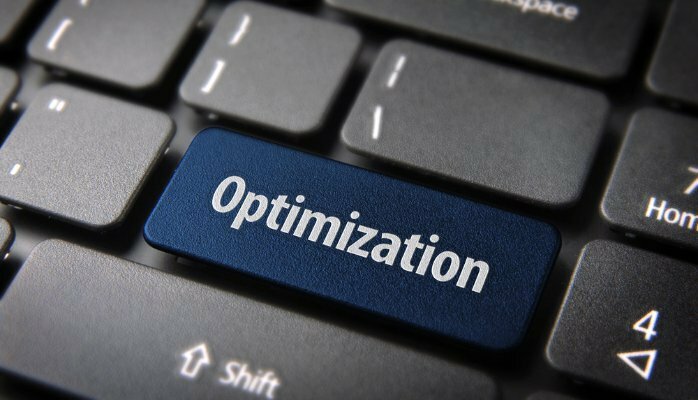 Just repeat the same process with these sites. NOTE: Can add do more stores/shops? Sure. Just don’t exceed 75 pages. And, you’d need to include an Index of Evidence. Don’t go there for your first LOP. Keep it simple for now. 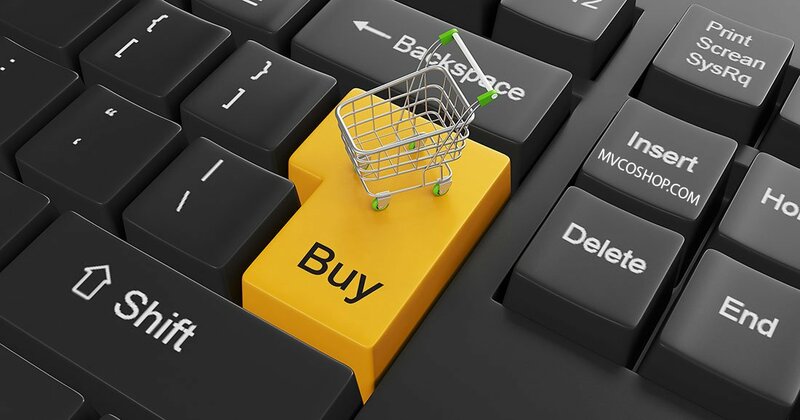 3-4 online shops with 2-3 pages each should do it. 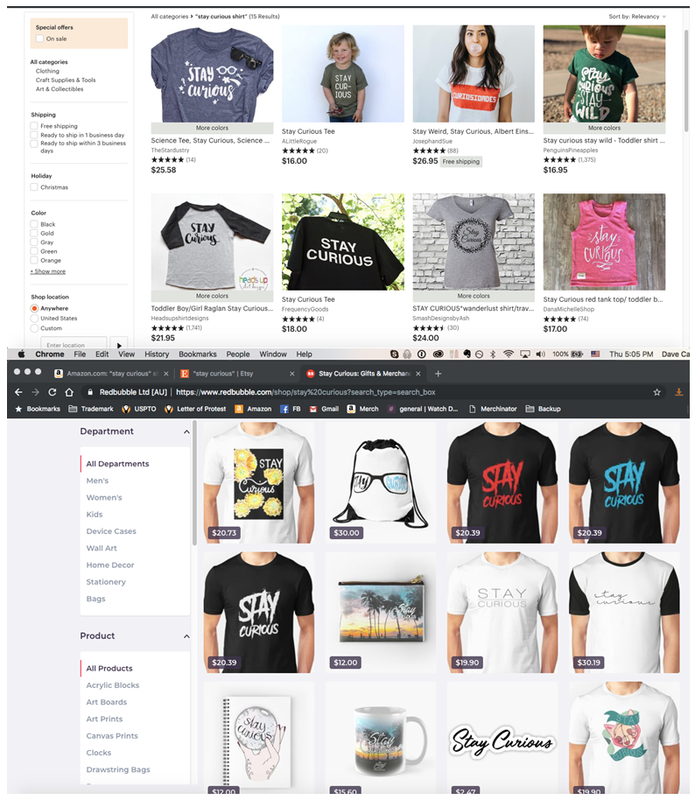 WARNING: Do not use Google Shopping, CafePress or Spreadshirt. 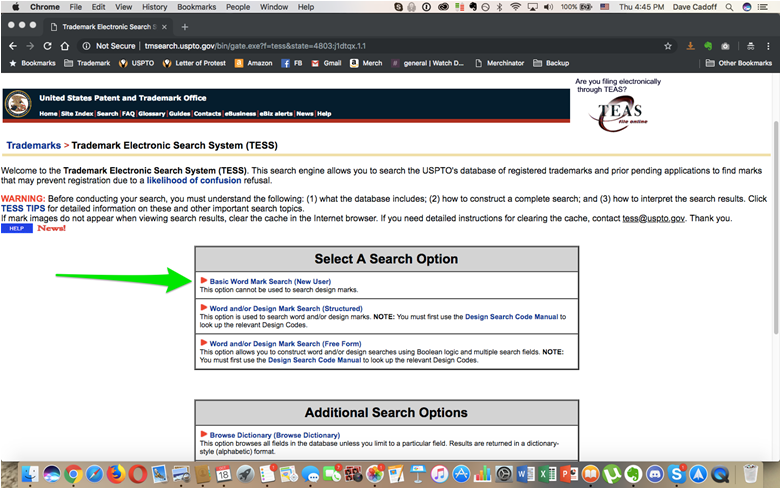 The USPTO does not like those sites for 3rd party evidence. Ok, we’ve got evidence from at least 3 different online stores. Now comes the fun part. Let’s file that LOP!!! Believe it or not, you’re halfway done now. Let’s file an LOP. 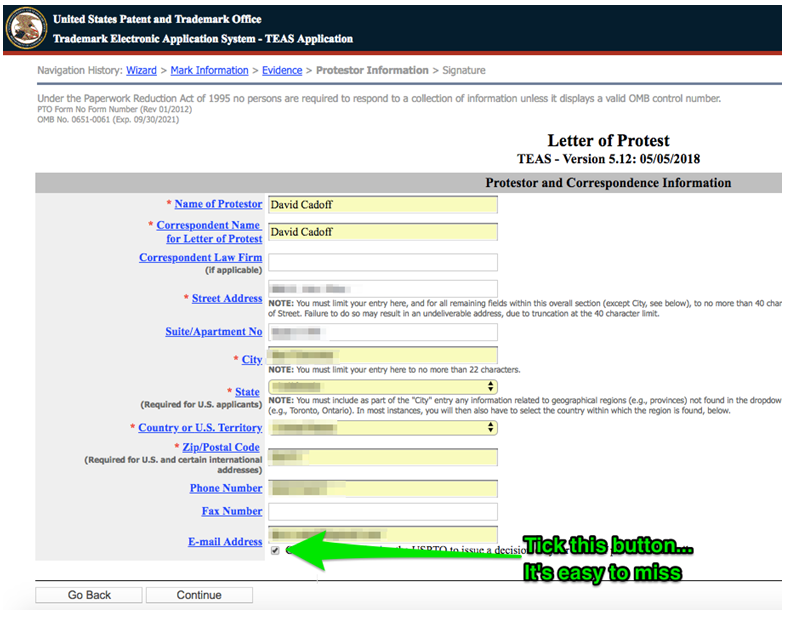 Navigate over to the USPTO Letter of Protest form. Now it’s time to enter our legal basis for our Letter of Protest. Make sure to tick the box that says “Other Legal Basis. Explanation of legal basis.”. Copy and paste the text above into the text box and click on that Continue button. Remember those PDFs? Now’s the time to add them to our Letter of Protest. Then, Click on the “Attach” button (Step 1) and the file should upload. Be patient. 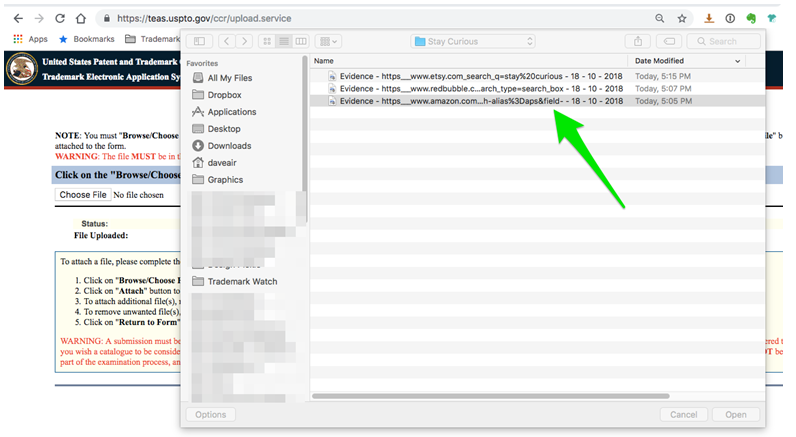 The upload sequence can take a minute or two depending on the USPTO bandwidth. It’s not your bandwidth that’s the problem. Repeat this step with the other PDFs (in this case, Etsy and Redbubble). The last thing we need to do on this page is to describe the evidence we’re submitting. WARNING: Do not skip this step! 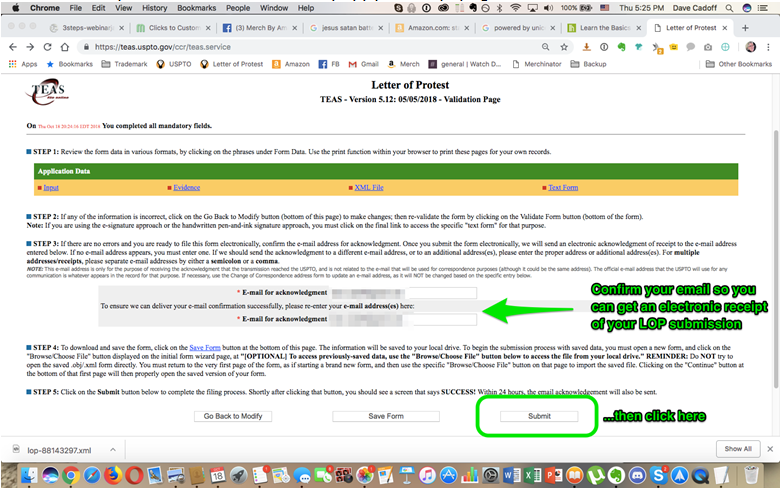 Your LOP will likely be rejected if you don’t fill out the text box. 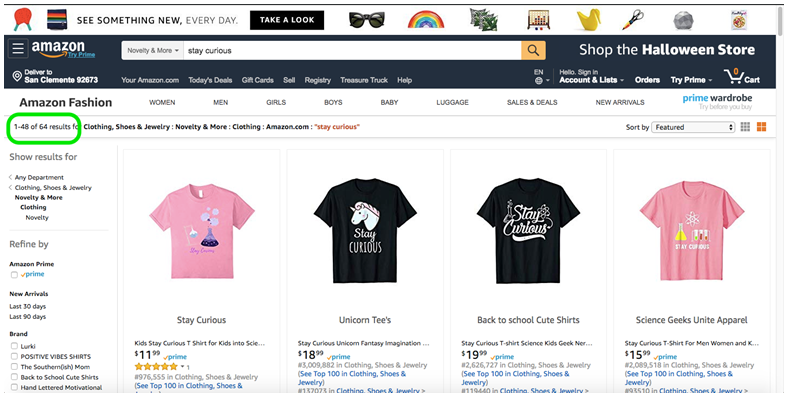 If your evidence is just Amazon, Etsy or Redbubble, you’re good to go. Found more or different evidence? Just edit the copy to reflect the sites you actually used for evidence. Now, copy and paste that text into the description box and click “Continue”. Sometimes, depending on your browser, you might get this warning. Do Not Stress. Just click continue. 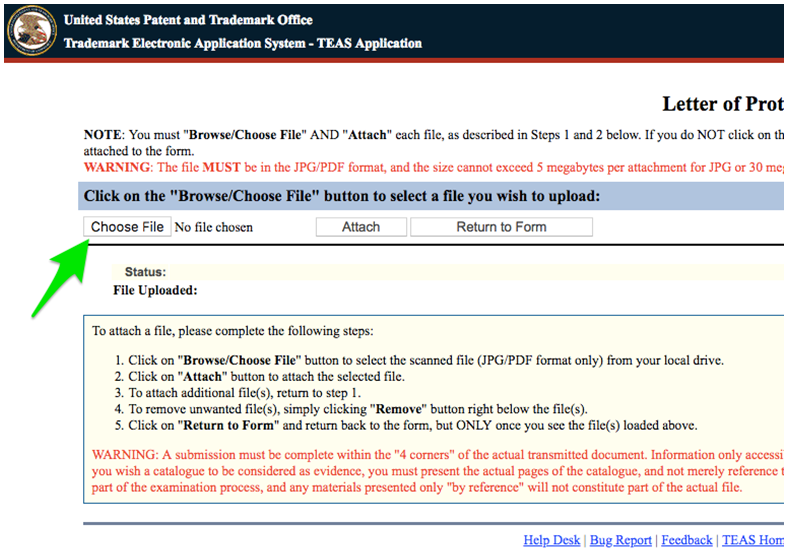 The USPTO is just telling you that they are cleaning up invisible characters in your text. Nothing to worry about. 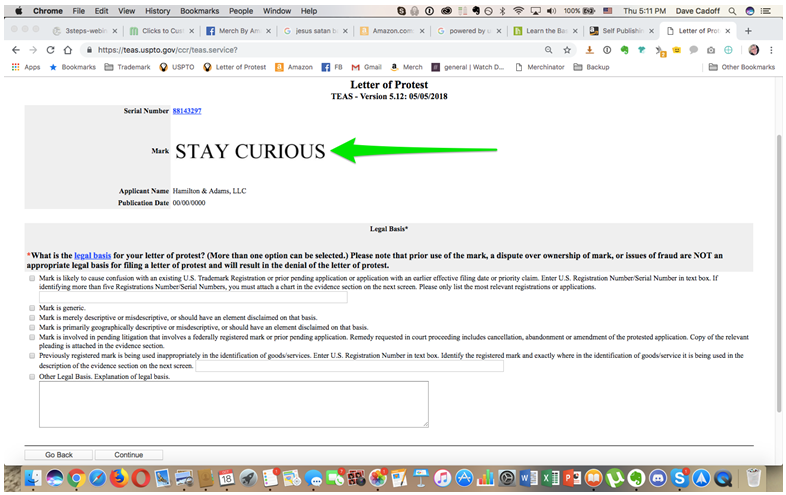 Just fill out this short form telling the USPTO who is filing the LOP. FYI – you do NOT need to be a US citizen or even reside in the USA. Anyone from anywhere can file an LOP. Make sure your name is preceded and followed by a forward slash “/”. 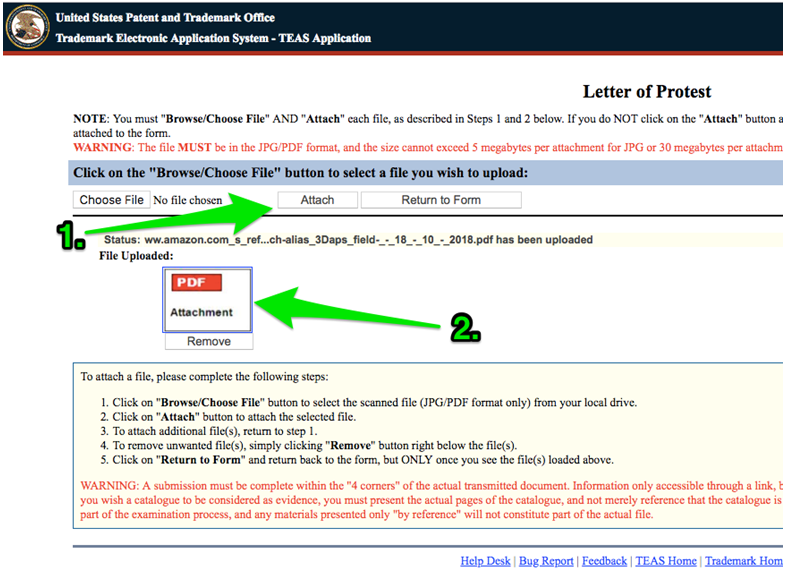 Click on the button to get a PDF record of what was submitted. Now we wait. It used to take the USPTO just under a month to review an LOP. That waiting period is now (as of 10/2018) close to 8 weeks. Still with me? If you’re not a reader – more of a visual learner – head over to the Trademark Watch Dawg YouTube channel. There’s a video there that walks you through all this step-by-step: https://youtu.be/BEulwDlLAd0. 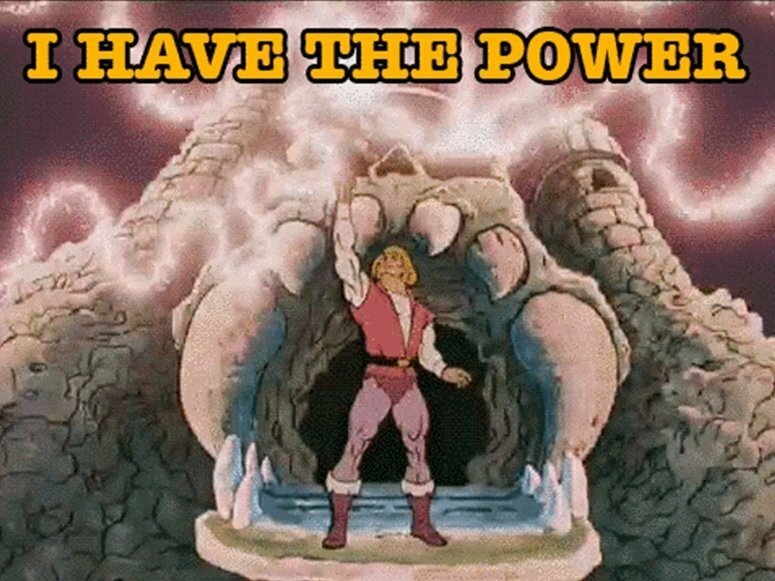 Don’t stop! Join the Trademark Watch Dawgs Facebook group. Also, help us cure this cancer by pledging whatever you can to our Patreon group. We use the funds for legal advice, VAs to gather evidence and filing oppositions and cancellations on frivolous trademarks that make it past the LOP stage. And next time you find someone trying to trademark a phrase that you use…FIGHT BACK!!! Give ‘em a LOP where the sun don’t shine.